If you are a commercial property owner, you are most likely already aware of just how important it is to maintain a consistently comfortable working environment in your commercial space. Whether you are renting out office space or operating your own business, you want to make sure your clients and/or employees are happy and satisfied with their working environment. For steady productivity and continuing contentment, you want to be able to offer consistently comfortable temperatures and air quality throughout the entire year. A commercial HVAC system is a powerful piece of machinery with many moving parts and functions. Just like any machine, a commercial HVAC unit needs proper care to keep it running smoothly and efficiently. Take your vehicle as an example. Without routine maintenance, you are likely to end up paying hefty mechanic bills that could have been prevented with a little pre-emptive care. The same is true of your commercial HVAC system. Regularly scheduled maintenance can help keep your system operating effectively, while avoiding unnecessary repair bills. For top notch commercial HVAC repair service, Air In Motion Heating & Cooling is an ideal solution in the GTA. With over 17 years experience in HVAC repair throughout the GTA, you can expect the same prompt and exceptional service every time. 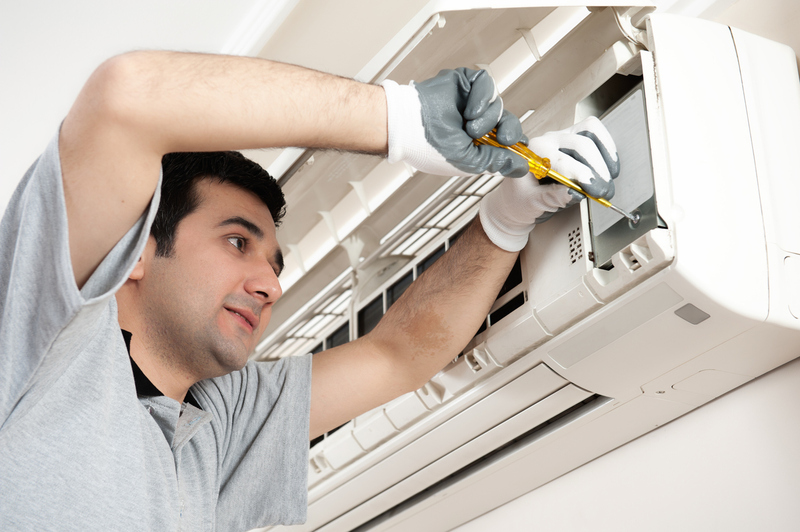 Waiting until you have a problem is not the recommended way to handle HVAC maintenance. Any disruption in service can cause significant problems for your commercial business. There are several advantages to be enjoyed by having routine maintenance done to your HVAC system by an experienced professional. To avoid losing air conditioning on the hottest day of the year, or going without heat in the dead of winter, regular maintenance is required for your commercial HVAC unit. One of the most impressive benefits of regular HVAC maintenance is the increased energy efficiency. Just like any piece of machinery, it performs better with consistent care. As the owner of a commercial space, it is important to keep the people occupying that space as happy as possible. If your HVAC system goes down in the middle of summer, you are likely to have some agitated people on your hands. Nobody wants to work in a sweltering, unpleasant environment. If the problem is serious, you may even have to shut down business for a period of time. A well-maintained system will also operate evenly, without leaving hot or cold spots throughout the building. A neglected HVAC unit will begin to accumulate dust and dirt which can get blown out into the workspace. Not only can this make breathing less comfortable, it can also lead to respiratory problems and health issues for the people in your commercial space. A dirty HVAC unit is especially problematic for people with asthma and other respiratory ailments. Whatever fee you pay for routine HVAC maintenance will be offset by the money it saves you in the long run. Regular upkeep means fewer breakdowns and therefore fewer required repairs. It is estimated by industry experts that upwards of 95% of HVAC equipment failure is caused by an absence of routine maintenance. You can’t really argue with those numbers. Commercial HVAC maintenance can save you even more money by increasing the longevity of your system. A dirty HVAC unit has to work much harder than a clean one, meaning it is probably going to burnout much more quickly. When it comes to commercial HVAC repair, preventative maintenance is the best approach.